Avoid added salt and sugar. Easy on the alcohol. Get better sleep. Wear sunscreen. Exercise. We see the headlines and study findings. We hear the advice of medical experts. We have constant opportunities to engage in health-promoting behavior. Yet, so many of us continue with less-than-ideal habits. Although the target behaviors for healthy life are abundantly clear, scalable methods for evoking and maintaining these healthy habits remain elusive. The natural consequences of many healthy habits can be weak, extremely delayed, or uncertain. Worse, these same healthy habits can produce immediate and ongoing aversive stimulation. For example, the major benefits of exercise accumulate after long periods of time with regular bouts of sustained strenuous physical activity. Meanwhile, engaging in exercise often produces immediate physical discomfort, delayed soreness, and is commonly perceived as time-consuming and tedious. Unsurprisingly, many Americans fail to meet physical activity recommendations. Although the target behaviors for healthy life are abundantly clear, scalable methods for evoking and maintaining these healthy habits remain elusive. Exercise simply isn’t very fun for many people. Video games, on the other hand, are built specifically for fun. Video games incorporate behavioral principles to deliver frequent and sometimes unpredictable conditioned reinforcers to maximize player engagement over long periods of time. Many new approaches to health promotion directly incorporate design elements from video games. Enter Pokémon Go. Pokémon Go is an augmented reality game in which players use their smartphone’s camera, touch screen, and geolocation to track, catch, and battle Pokémon. Pokémon (short for “pocket monsters”) are fictional creatures from the popular series of video games, anime, and trading cards. Augmented reality games involving physical activity (e.g., Ingress and Zombies, Run!) predate Pokémon Go. However, the real-world exploration mechanics of augmented reality and the global popularity of Pokémon combined into a uniquely attractive experience. Released on July 6, 2016, Pokémon Go has been met with global fanfare and financial success. The game attracted more active users than Twitter and Facebook within its first week of release. In that same week, parent company Nintendo saw their stock value increase by $7.5 billion. The most exciting of these early successes linked Pokémon Go with substantial increases in physical activity. Most video games are played while sedentary. You sit on your couch or at your desk for some period of time, moving only your eyes and fingers. While much of Pokémon Go consists of minigames played on a touchscreen, you navigate to these minigames using your smartphone’s geolocation. That is, Pokémon Go requires you to physically move around. You are represented in the game as a Pokémon Trainer (a character you create) whose in-game movement directly corresponds to your own real-time movement on Google Maps. While walking or running to play Pokémon Go (up to 15 miles per hour), you occasionally encounter wild Pokémon based on your proximity to game-generated locations in your area. You can then attempt to capture these Pokémon, train them to strengthen their abilities, and bring them into battle against other Pokémon to gain experience, earn in-game currency, and represent your team. Pokémon Go requires you to physically move around. Pokémon Go has the potential to inspire a boom in gamified approaches to health in public and private sectors. Health experts praise Pokémon Go for encouraging walking. Players are using the game to explore their environments in new ways and local businesses are benefiting from the increased foot traffic. Many players also report improvements in mental health and wellness due to the game’s unobtrusive and non-clinical social features. As the data on health improvements still come in, let’s look at the gameplay itself from a behavior science perspective. Pokémon are the cornerstone conditioned reinforcers on which the game is built. In addition to the unpredictability of Pokémon spawns, catching a variety of Pokémon will provide additional reinforcers. Each successful catch yields experience points which unlock game features and let you encounter stronger Pokémon. Having a diverse roster of Pokémon improves your battle potential, as all Pokémon have respective strengths and weaknesses. You can power up your regular Pokémon by catching more Pokémon of the same species and exchanging them for materials. Your Pokédex (an initially blank encyclopedia of Pokémon you catch and encounter) also gradually fills as you catch more Pokémon. Numerous Pokéstops and a Pokégym in the distance. Pokéstops are fixed locations that dispense complementary reinforcers. The gear you find at Pokéstops allow you to catch more Pokémon, find rarer Pokémon, and even revive your Pokémon after they have fallen in battle. Pokégyms are large, visibly distinct structures in the game that players can claim for themselves and their team. Once you station a Pokémon at a Pokégym, other players on your team can add their Pokémon to help defend the Pokégym. Pokégyms dispense currency and experience points to the players as long as their Pokémon stand to defend the gym. However, players from other teams will attempt to defeat your Pokémon and claim the gym for themselves. Pokéstops occasionally drop eggs which you can place in an incubator and walk to hatch them. Each egg requires some fixed distance to hatch (2km, 5km or 10km) with rarer Pokémon hatching from eggs requiring greater distances. Thus, stronger conditioned reinforcers (rarer Pokémon) are delivered contingent on greater distances traveled. Physical activity is reinforced on a variety of reinforcement schedules. Pokémon Go makes use of numerous reinforcement schedules, many of which are simultaneously active. Pokéstops are distributed short distances apart (areas with more foot traffic have more Pokéstops) and dispense items every five minutes. You could make brief but frequent trips to the Pokéstop down the block. However, walking to the nearest Pokéstop after that provides additional items while also counting towards any eggs you are incubating. As a player, you are free to choose whether you take a brief walk or venture on a long trek because the gameplay reinforces short, medium, and long distances on regular time intervals with unpredictable encounters. Many reinforcers target social behaviors. To access the game’s more competitive features, you can join one of three teams in Pokémon Go once you reach level 5. The teams only differ by minor narrative descriptions; however, you can only cooperate in-game with members of your chosen team. So which team do you join? The team most of your friends are on? The team that already controls the gyms in your area? The team with the most active players? The team with the description you identify most with? Your choice affects your game experience, particularly at higher levels with competitive gym battles. More subtle design inclusions (exclusions?) encourage social behavior outside of the game. When you first start playing Pokémon Go, there are no explicit instructions for what to do and very little information on what the game is about. Players must discover these elements of the game by themselves or more easily through other players. Asking friends how to play, meeting up at popular spots, encountering other players in public, and sharing information with players online have become staples of the Pokémon Go experience. Behavior scientists should view Pokémon Go as a source of inspiration. Our science is endlessly applicable and should be extended to as many individuals as it can help. Popular games like Pokémon Go can make physical activity fun for many people in ways continued research efforts can only improve. While very few behavior scientists work in the video game industry, understanding how these games work can lead to a healthier future whether you catch’em all or not. These are some of our commendations of the still very new Pokémon Go. The game is not without its flaws, but the developers of Pokémon Go continue to collect player data and iterate on the game’s design. Would you be interested in a more in-depth behavioral critique of Pokémon Go with recommendations for improving the game’s design? Let us know in the comments. Thanks for reading, and happy hunting! 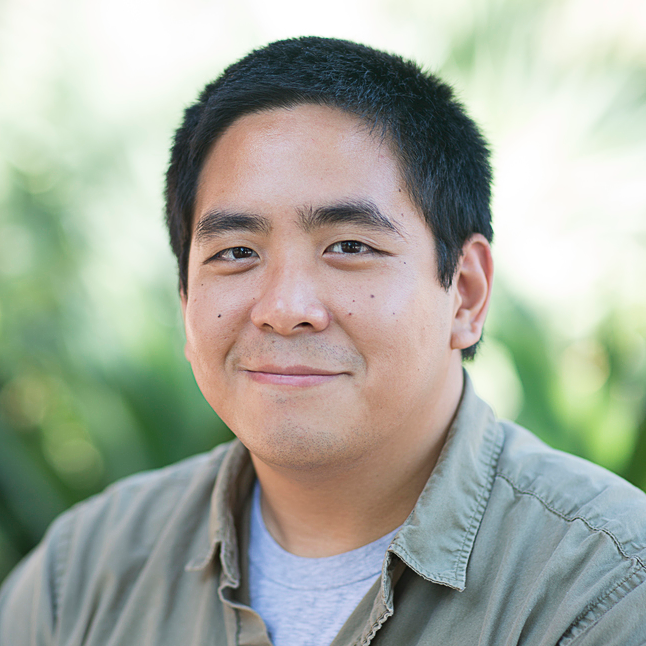 Triton Ong is studying behavior analysis towards his PhD at the University of Florida and does user experience design at Immersed Games. He focuses on how behavioral principles can be used to build games for improving health, learning, and everyday life. His other interests include depictions of behavior science in mass media, video games as a research platform, and dogs. He plays for Team Instinct. 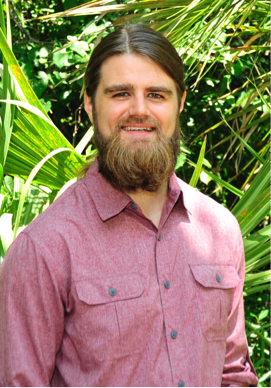 Nick Green is currently a Ph.D. student at the University of Florida and is interested in improving employee health with behavioral interventions. His research specifically aims to increase employee physical activity by evaluating variables such as education, prompting, goal-setting, and feedback. He previously graduated from the Florida Institute of Technology, earning an M.S. in organizational behavior management. Nick is also the founder of BehaviorFit, an organization dedicated to improving the health and well-being of others through behavioral science. Visit BehaviorFit to learn more about workshops, consulting services or read other articles related to health and wellness. One question that still remains is how long with the user continue to utilizee the app. Is the app just a fad? Hi Jon, great question! Player retention in Pokemon Go has been widely reported on due to millions of people leaving the game shortly after launch (definitely looks very “fad”-like). However, many millions more are still playing the game on a daily basis. Survey data suggest that Pokemon Go retention levels far exceed the average of other mobile games (https://www.surveymonkey.com/business/intelligence/pokemon-go-retention/). It’s going to be very interesting to follow the development of this game and see the data on long term health effects.